Ocean management services is a leading ISO 20000 IT service management certification consultants in ahmedabad gujarat india, ISO 20000 IT service management consultancy in ahmedabad guajrat india, ISO 20000 IT service management certification training provider agency in ahmedabad gujarat india. Organizations looking to get certified with ISO 20000 IT service management certification and looking for ISO 20000 certification consultants, ISO 20000 certification trainers, ISO 20000 certification consultancy service provider agency in ahmedabad gujarat india can contact us. Ocean management services is a leading ISO 20000 certification consultants in India, ISO 20000 consultants in Gujarat India, ISO 20000 IT service management certification consultancy in India, ISO 20000 certificate providers in India, ISO 20000 consultancy service providers in India, ISO 20000 certification consulting agency in Gujarat India, ISO 20000 certificate provider agency in India Ahmadabad Gujarat. 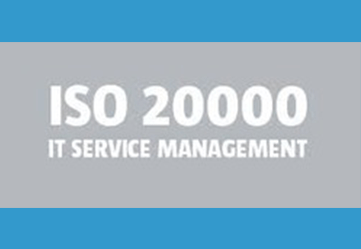 Key Requirements of ISO 20000 IT service management standard. We are a team of certified lead auditors having more than adecade experience in ISO management system certification consultancy business. Organizations interested in getting certified with ISO 20000 IT service management certification and searching for consultants, consultancy , trainers, training provider agency for same can contact us. Organizations looking to obtain ISO 20000 certification and searching for ISO 20000 trainers, ISO 20000 training providers, ISO 20000 certification service providers, ISO 20000 certification consulting agency can contact us. 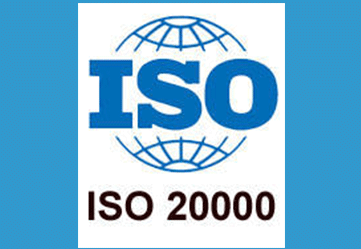 We can help organizations in achieving ISO 20000 certification in India. Established in year 2004,Ocean Management Services is a leading ISO 20000 IT service management system certification consultants, ISO 20000 IT service management certification consultancy, ISO 20000 IT service managemnt ITSM certification consulting agency, ISO 20000 IT service management certification training provider agency located at Ahmedabad in Gujarat india. We can help organizations in achieving ISO 20000 ITSM IT service management system certification with certification agencies accredited with UKAS, ASCB, JAS ANZ, DAC, Few of certification agencies are TUV, BVQI, Intertek, BSI, URS etc. Following is process procedure for ISO 20000 ITSM IT service management system certification. Defining policies and procedure as per requirements of ISO 20000 ITSM IT service management standard reequirements. Maintaining system as per defined procedure, policies and templates of ISO 20000 ITSM IT service management standard. Doing internal audit of ISO 20000 ITSM system. Conducting management review of ISO 20000 ITSM system. Stage 1 audit of ISO 20000 ITSM system by certification agency. Closing non conformities of stage 1 audit of ISO 20000 certification. 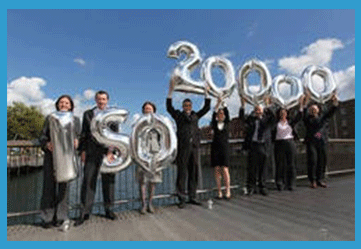 Stage 2 audit of ISO 20000 ITSM system by certification agency. Closing non conformities of stage 2 audit of ISO 20000 Certification. Award of certification if any major gapes are not identified during certification audits. Organizations in Gujarat, Andra pradesh, Kerala, Tamilnadu, Rajastha, Maharashtra, Madhya pradesh, Uttar pradesh, etc. looking to obtain ISO 20000 ITSM IT service management certification may contact us. Organizations in Gujarat, Andra pradesh, Kerala, Tamilnadu, Rajastha, Maharashtra, Madhya pradesh, Bihar, Hariyana, Punjab, Uttar pradesh, etc. 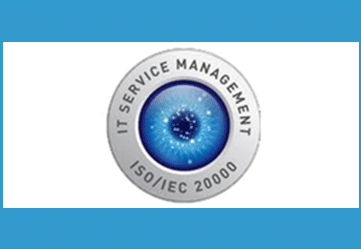 looking to obtain ISO 20000 ITSM IT service management certification may contact us.